I am a lazy blogger, I am a lazy blogger…however, two new things coming up. Thanks for the patience, love y’all…. P.S. Congrats again, Tim and Andi!!!!! I know it has been more than a while, but I have something sweet coming soon from the SWS lab – soon to be available around the web (or, at least, at Etsy and Ebay, as well as direct from your humble narrator). Part science/part art – all glorious, glorious…Stay tuned, PGH watch out! In honor of the Pittsburgh Penguins making it to the Finals another year, I figured I’d post up some lovely shoes from the Nike Livestrong Collection, all in Pgh’s fav colorways. I’m not a big fan of the Air Footscape Wovens, but, hey, whatever floats your boat or finds your lost remote, y’know. Original pics from Freshness Mag. 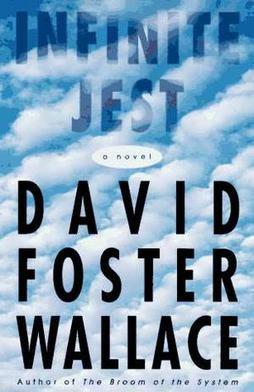 For all of y’all literary types who fancy big, sprawling books…it doesn’t get much bigger, or more sprawling than this within contemporary letters (well, maybe this, but…): Join in and read one of the great texts from the late David Foster Wallace, Infinite Jest. With groups on the Twitter and the Facebook helping with motivation there is no better time than the present. People say stuff like this out of the side of their mouth all the time, but this book changed my life, introduced me to a different way of viewing the world, tied me to other people in a way no other book has done. Yes, there are over a thousand pages here, but contrary to what many critics have said, there is not a word out of place, nothing superfluous here, I promise. Thanks, Dave, we miss you.